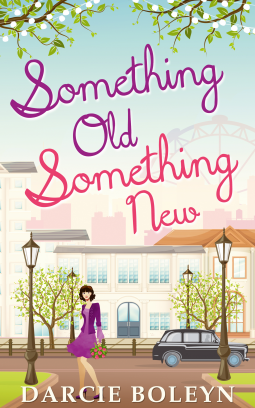 A heartwarming, giggle-inducing romance from Darcie Boleyn, just in time for the wedding season! Will you marry me…again? Annie Thomas is a character I think most women will be able to relate to, a working mother juggling the trials and tribulations of life, her kids and the need to have a hot bath without a phone ringing, someone knocking at the door or one of the children needing a poo! What really makes Annie a great character is that she’s so engaging, Boleyn possesses the skill of really bringing her characters to life. For me reading about the worries Annie has for her children felt so realistic, because as the mother to a toddler I am constantly worrying that I do the best for my child and want the best possible life for my child. The relationships that Annie has with both of her ex husbands is wonderful, for the sake of the kids there has to be some form of friendship there, and despite the reason for the break up of her second marriage, Annie bears no ill feeling towards Dex and his new partner Trevor. This in itself was brilliantly handled by Boleyn, showing the complexities of modern families and how many are no longer the standard nuclear family set up. Another character I really liked was Cassie, Annie’s friend and neighbour. Who incidentally was also a firm favourite with a certain bulldog – this was one bit I had to laugh out loud at and then explain to my bemused husband why I was almost crying with laughter. The progression to adulthood of Annie and Evan’s daughter Janis was another example of great writing. Annie struggled to come to terms with the fact that her eldest daughter was on the verge of adulthood, had a boyfriend and becoming her own person. Seeing the decisions Janis was making forced Annie to consider her own young life, how things might have been different if she had made other choices. The dilemmas faced by both Annie and Janis are real ones that mothers and daughters (and fathers and sons) face all the time, but reading Annie’s narration of her internal struggle added an extra layer of authenticity to this story and actually made me stop and think for a few moments. This is a great book, heart warming and funny in so many places. It‘s the sort of book you can happily curl up with and lose track of time while enjoying it thoroughly. Just like Boleyn’s first book Wish Upon a Christmas Cake, this is a book you will enjoy from the very start, it’s teaches you that we all deserve a second chance and that overall the most important thing is the family you choose to love and surround yourself with. I would have no hesitation to recommend this to fans of Holly Martin, Marcie Steele or Rebecca Pugh. Thank you Darcie for another lovely book! You can buy a copy of Something Old, Something New here. Darcy Davenport is a delightful character, but she’s a walking disaster in so many senses. Common mishaps that befall most of us seem to occur regularly around her, whether it’s people getting food poisoning, cakes falling on the floor, slipping and bashing a knee on rocks….you name it, it seems to happen to Darcy or around her and it makes her feel a little jinxed at times. The most wonderful thing about the character of Darcy is her love of marine biology, a topic I know very little (pretty much nothing about other than it‘s do so with water), the knowledge this character demonstrates throughout this book is fascinating and shows that the author is happy to go one step beyond with her research to give her characters more substance. The relationship issues that Darcy has with her parents are so well portrayed. The intensity of their judgement and poor attitude towards certain aspects of Darcy’s life really demonstrate the more fragile side of her character, it’s saddening to read but really does show the development of Darcy and gives a good idea of why she needs things to work out in White Cliff Bay. Holly Martin’s writing style lends itself well to this genre, the story flows easily and effortlessly. The story and characters really come to life when you immerse yourself in one of Martin’s books. You can almost imagine the the town, the people and the delectable delights in the bakery! 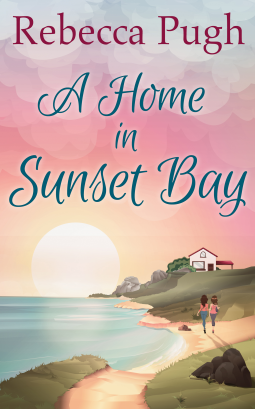 I particularly liked catching up with some old friends in White Cliff Bay, despite the story not being about George and Libby or Penny and Henry, their appearance in this book was lovely, seeing how the relationships of these other characters was so good. All to often a book ends and you as the reader are left to ponder what happens next for X and Y but Martin gives you little snippets to know where life has taken them. Despite this being the third book in the White Cliff Bay series, I really do think you could pick this one (or any of them) up and enjoy every page. The mentions to other characters is lovely for fans of the series and links it all up nicely, but for someone coming to this without having read any of the previous books there is no fear that you will feel you’re missing something important to the story. This is a thoroughly lovely read, heart warming and funny in so many places. It‘s the sort of book I reach for on a bad day as I know that by the end of it I will be smiling and feeling all is well in the world again. This is the sort of happy ever after that beats Disney every time! Thumbs up to Holly Martin for another brilliant book, refreshing, delightful and all round fantastic! 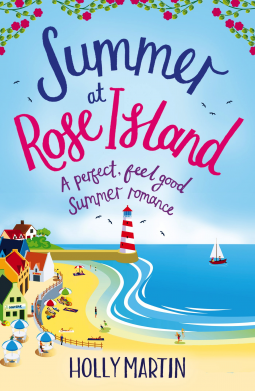 You can buy a copy of Summer at Rose Island here. Narrated mainly from the view point of DS Finn Hale and DC Leah Mackay the reader is quickly catapulted into cases involving the disappearance of Dr Selena Cole, a renowned specialist in the field of Kidnap and Ransom consultancy, and her even more mysterious return, but also the murder of a well respected solicitor. The alternating narration by Hale and Mackay gives great insight into both characters individually as well as their shared history. Being brother and sister makes it an interesting twist for these characters, working well together but at the same time being able to understand each other’s train of thought adds a little something else to the investigations. Other characters do take over with narration, but I did prefer when it was Hale/Mackay taking the lead. First person narration doesn’t always work through a novel, but in this instance it really fits well with the story, adds information that otherwise would not make sense being recounted by other characters and gives a closer look at characters – what their doubts are, what is going on in their personal life etc. The setting of the story is fascinating, I can honestly say I’ve never read anything like this before. Kidnapping and random consultancy is not something I’ve ever come across before, and despite the ruthless, murky world it inhabits, I am thoroughly fascinated. Kavanagh has done some incredibly detailed research into this field for this novel and it really shows through the skill of the writing. There are so many twists and turns in this story, and so many things I keep wanting to say about this, but it would give away too much and this is not a book you want spoiled – this is the sort of book you sit down with after you’ve taken the phone off the hook, turned your mobile off and disconnected the doorbell. Well paced, atmospheric and full of suspense, this book really does grab you and holds your attention right to the very end. The only downside for me was the ending – I couldn’t believe it was finished, quickly checking my kindle to make sure I’d not skipped a page or missed something. I just felt that either Kavanagh was being cruel and leaving me hanging or being generous and allowing me to make up my own mind as to how it all ends. 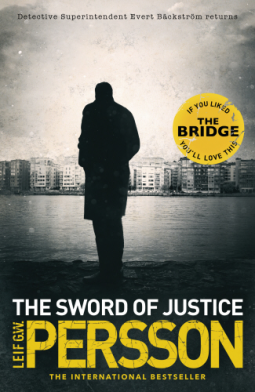 I’d absolutely recommend this book to fans of thrillers and police procedurals, a fantastic read! 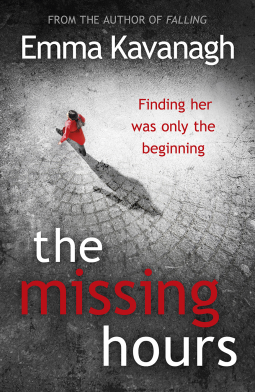 You can buy a copy of The Missing Hours here. This is the eleventh outing for Bernie Gunther, a much jaded ex policeman from Berlin. Gunther is an interesting character, if he’d been a cat I’d say he’d be down to his final life by now. He survived Nazi Germany by being friends or more likely, by not being enough of a threat, to the right people, and now having fled the repercussions of WWII is living on the French Riviera under false pretences. Ghosts of the past have a nasty way of catching up with you, and in this case a particularly nasty spectre arrives in the hotel Gunther is working in and recognises him. Without giving too much away, Gunther is sucked into a blackmailing racket at the suggestion of the most unlikely source. He then learns that all is not as it appears to be in the circles of British Intelligence and foreign relations – information which could prove beneficial or fatal depending on who possess it. Weaving back to Gunther’s previous life, he recounts the tales surrounding unscrupulous former Nazi Harold Hennig and his own unwilling participation in Nazi Germany’s destructive forces. These tales give a great insight into the characters of Gunther and Hennig, the palpable distrust between them, but also round off the life story of Gunther for readers who have followed him through the years. Kerr’s first set of novels Berlin Noir introduce a slightly different Bernie Gunther, one at the start of his journey into the jaded depths. If you want to read the series, those are the best books to start with but really Kerr’s writing technique allows the reader to pick up almost any of the books and fall back into Gunther’s past and pick up what’s going on with relative ease. Despite being a great fan of Kerr’s Gunther series, this book just wasn’t as good as I’d hoped. It seemed to lack a little magic that appeared in the previous books. Perhaps the idea that Gunther is now older, wiser (perhaps not!) and entirely wearied by life in general is a far leap from the chain smoking, argumentative maverick I’m used to. Whilst there is intrigue and mystery aplenty, the action in this book comes a little too late for me. There is another book due in the Bernie Gunther series, but I fear this may be the last time we see this ol’ gumshoe from Berlin, but then again, I could be wrong. 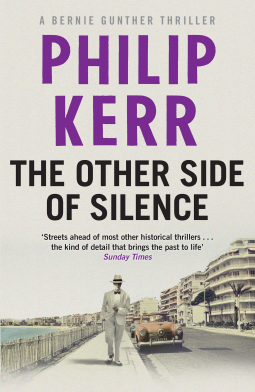 You can buy a copy of The Other Side of Silence here. 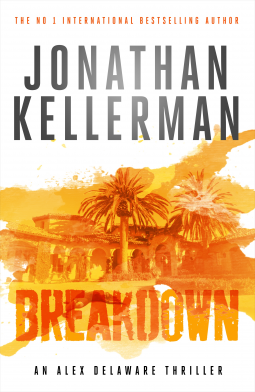 Breakdown sees the return of Alex Delaware, the brilliant criminal psychologist in book 31 by Kellerman. Despite having 30 other books featuring this character, this is fresh, exciting and gripping. The pairing of Alex Delaware and Milo Sturgis appears as standard in this book, and it’s almost like catching up with old friends. These characters play well off each other, and despite the longevity of this friendship it has not gone stale, the repartee between them is humorous and very enjoyable to read. Alex Delaware does however seem a little more reserved in this book as opposed to the previous ones. Perhaps this character has developed between books and become more contemplative. Evenly paced and well thought out, the story moves along satisfactorily. Alex Delaware seems to put a lot of consideration into his investigations and keeps himself from unnecessary harm, but all the while conscious of his obsession to do the right thing – find the missing child and find the perpetrator of Zelda’s tragic murder. The characters are few but brilliant in this book, well formed and fleshed out. And despite this being a continuation of the Delaware series, I think that any interested reader would be able to pick this up and enjoy it as a standalone book. The return to the style of writing from the older books is a bonus for me, inclusion of psychology details really made this a more interesting and engaging read. I would have no hesitation in recommending this book. You can buy a copy of Breakdown here. Will Rhodes is an award-winning correspondent for The Travelers, on assignment at a luxury Argentinian resort – fine wines and gourmet food, polo fields and the looming Andes. But Will’s life is about to be turned upside down when a new flirtation turns into something far more dangerous, and he only realises too late. From the Edgar Award winning, Sunday Times bestselling, author of The Expats and The Accident, The Travelers is an ingenious, compulsive thriller – taking us from New York to Washington, Mendoza to Capri, London to Paris, Edinburgh to Dublin, Stockholm to the wilds of Iceland – about marriage, deceit, betrayal, and the secrets we should watch out for. The idea behind a travel writer being a good cover for spying is a great one, even more so when the travel writer in question really has no idea who he’s spying for and for what purpose. The story here focuses on Will Rhodes, an award willing journalist who starts working for Travelers magazine. He visits many destinations and samples the delights on offer, until one day in Argentina his life changes forever. He is ‘recruited’ by a Security Agency who wants him to feed information back on the places he’s been to and the people he comes into contact with, but must not tell anyone, not even his wife. On the face of it, this sounds intriguing, clever and exciting. But as the story develops, I felt it became less enjoyable and more like a chore to read. The concept loses it’s shine and feels long winded and seems to stumble slightly. I felt I was waiting for the spy thriller part to kick in, but was left somewhat disappointed. Can’t say I really took to any of the characters, they were on the most part well fleshed out but it felt like something was missing, I just can’t put my finger on it. Twists and turns aplenty kept me reading on, there was enough to keep me engaged and hold my attention for the most part, but I will admit to skim reading some narrative at times. 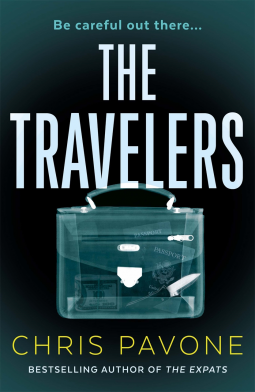 You can buy a copy of The Travelers here. I’m happy to read and review books from authors/ publishers. Please feel free to contact me via email (tattoostars77@gmail.com) or twitter (@murronsmama) and give me the necessary details. I cannot guarantee I will accept a request to read a book, especially if it’s not in my preferred genre. If I accept your book to review, I will try to give you an estimate of when to expect a review. Once the review is written, I will contact you with links for blog, and Goodreads. Reviews are also posted on Amazon. Where I feel that I cannot write a good review for a book, cannot finish a book, or simply do not enjoy the book, I will contact the sender to advise of this and the reasons why. Decorated CIA analyst Mark Henshaw continues the Red Cell series with an “authentic, compelling, and revealing” (Jason Matthews) thriller following CIA analyst Jonathan Burke and agent Kyra Stryker, as they try to save the CIA’s sources in Russia after a major intelligence breach leaves Moscow Station in ruins. Alden Maines, is jaded after years in the CIA cleaning up the messes of incompetent political appointees in dangerous foreign posts. When he is passed over for promotion, Maines crosses the Rubicon and decides to cash in as a double agent for Russia. Traveling from Langley, to Berlin, and finally Moscow—working black without backup—analyst Jonathan Burke and agent Kyra Stryker are up against their most formidable enemy yet, and their lives and the fate of America’s most important assets in the New Cold War hang in the balance. Kyra Stryker takes centre stage in this gripping thriller by Mark Henshaw, her unorthodox methods and risk taking approach get results so it’s a good move to utilise this operative when a CIA agent defects to the Russians. Against the backdrop of the cut throat politics of Russian Intelligence and a young and inexperienced President of America, the tightrope Stryker has to walk is fraying dangerously. Stryker is a great character, a well formed description easily conjures up an image of a strong and feisty young woman with a punk attitude and ruthless approach to finding answers. The good thing about this book is that the cast is limited, each character has been fleshed out so that enough information is there to find out what motivates each one and what their purpose is in this tangled tale. Despite this, the author has ensured that the reader’s attention is securely captured before introducing the more complex aspects of the plot. Homework has been done when it comes to the retelling of the tales of the Russian Intelligence bodies and just how convoluted politics can be, and for this I applaud the author, this made for an interesting read and added a layer of authenticity to the book. This is an absolutely brilliant spy thriller, the plot is well formed and gripping, the characters are interesting and well portrayed. Dialogue in this book is not only down to earth but also enjoyable to read, it feels very real and flows well. If I’m honest, I would happily put this on a shelf next to my collections of Len Deighton and John le Carré, it deserves a place next to the greats of the genre of spy thrillers. I would have no hesitation to recommend this book to fans of spy thrillers or general thrillers. 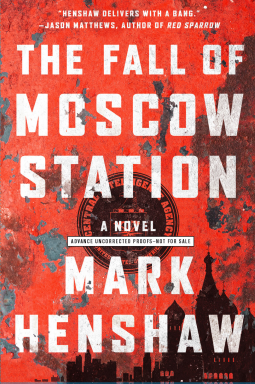 You can buy a copy of The Fall of Moscow Station here.